Lately, I’ve been seeing memes pop up on social media saying things like “Life is short, buy the shoes.” or “Life is short, buy the whatever.” As much as I like shoes, they are not my weakness. When I enter a store, I am not drawn like a magnet to the shoe department. No, my kryptonite is almost anything that can be used for entertaining or decorating. 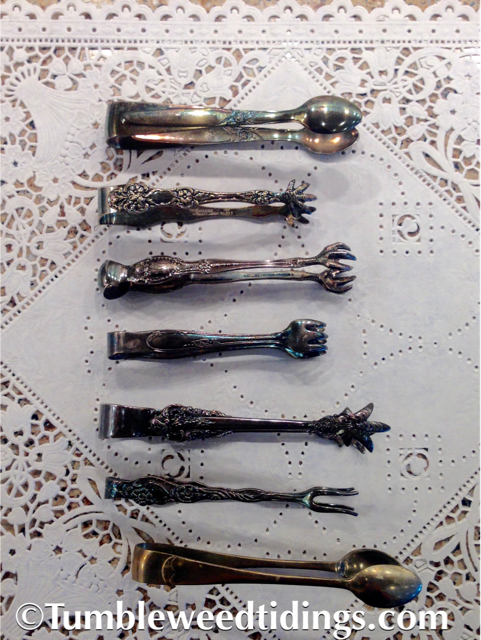 A collection of antique tongs? Yes please! 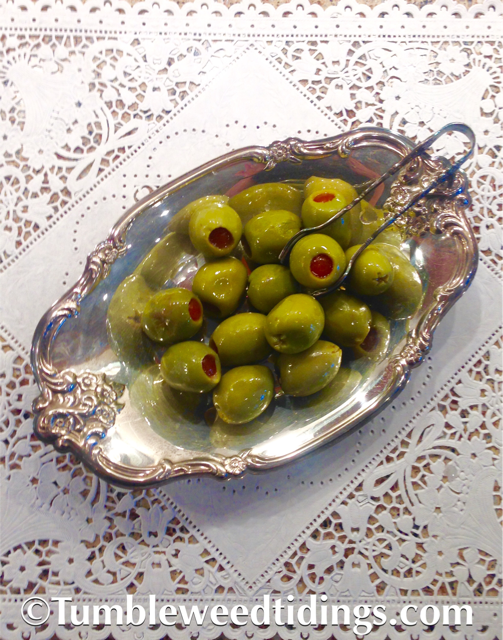 They come in handy for cheese, fruit, olives and so much more. Cute little spreaders? You betcha. We use them for dips, hummus, cheese balls and brie. 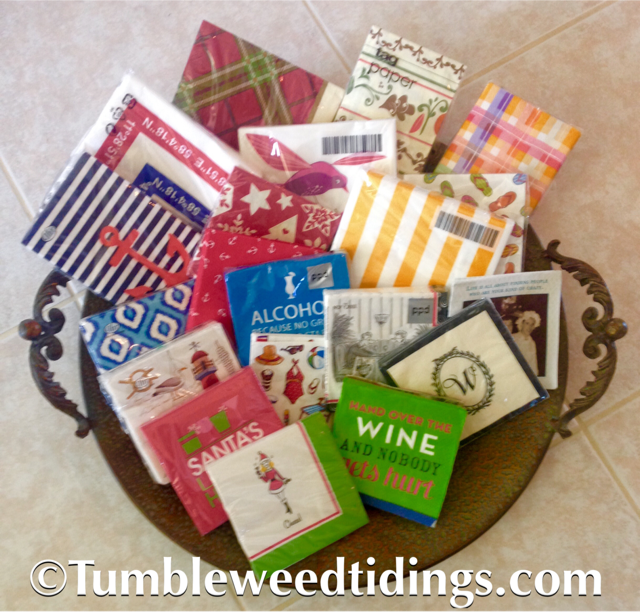 Napkins for every holiday and potential gathering? Uh huh. I mean how can you resist? Since these represent only a third of the napkins we have on hand, I’m pretty sure that some of these will one day be offered at an estate sale when our children are trying to offload our treasures. But for now, they will live happily in their special drawers, waiting for their big entertaining moment. 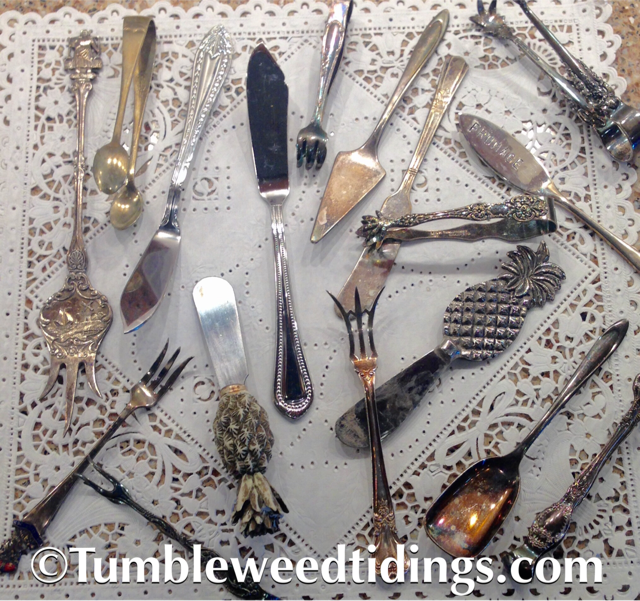 Because of my “entertaining accessory syndrome” I am always on the lookout for new and interesting items to add to the collection. 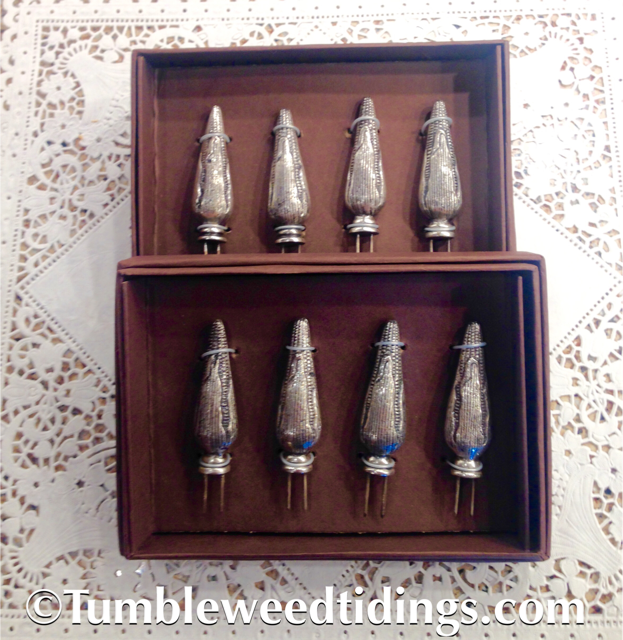 I have found them at antique stores, thrift shops, boutques and garage sales. 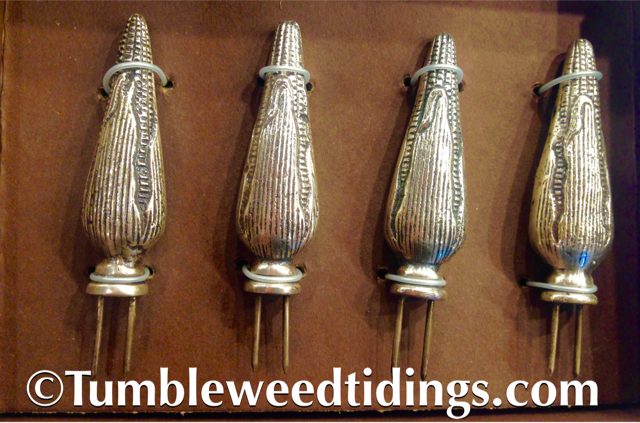 About two years ago, I spotted these amazing sets of pewter corn on the cob holders at a local store. *Dreamy* Mind you, I already own a perfectly good set of corn on the cob holders from the Dollar Tree that are large, sturdy, colorful,and quite functional. 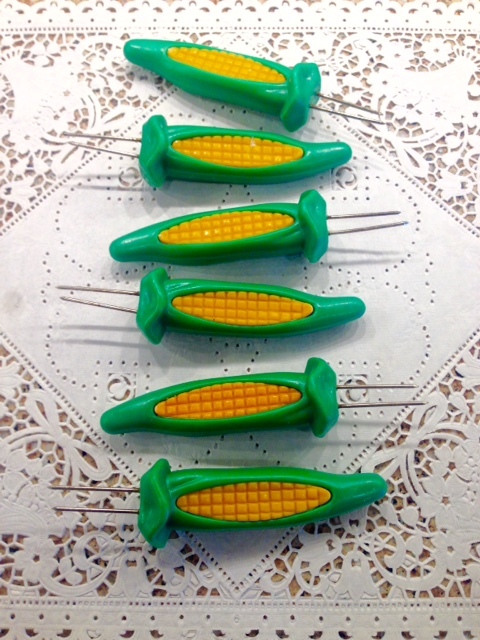 My husband, who grew up in New Hampshire as a lobsterman, worked in a lobster pound as a teenager, and subsequently developed asbestos fingers, doesn’t need corn on the cob holders. But my dainty digits cannot tolerate hot corn, so I use the holders. But could I really justify the cost of pewter holders when I am the only one who uses them most of the time, and seriously, how often do we have corn on the cob anyway? These are the agonizing arguments that go on in my head, and it’s not pretty. It didn’t help that every time I was at this store, the pewter holders still hadn’t sold. Two years, no demand. Go figure. I think you know where this is going…. I bought them. And couldn’t love them more. Love them. 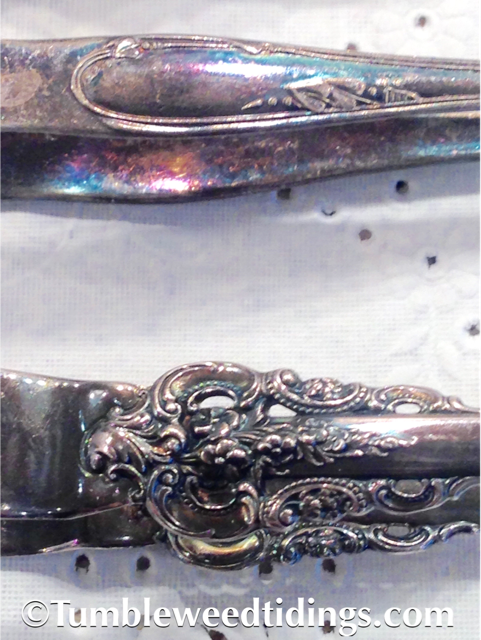 I have a set of antique fruit knives I have yet to use. 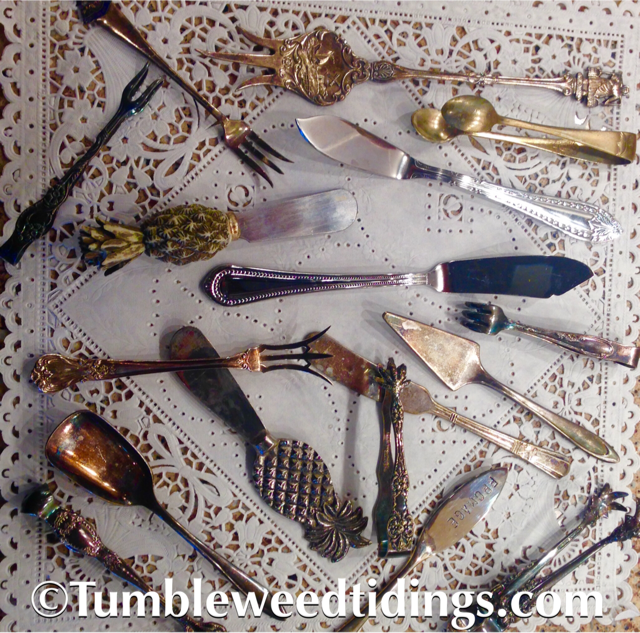 I can so relate to all this….what about individual colbalt and sterling salt dishes with their dainty little spoons…necessary? 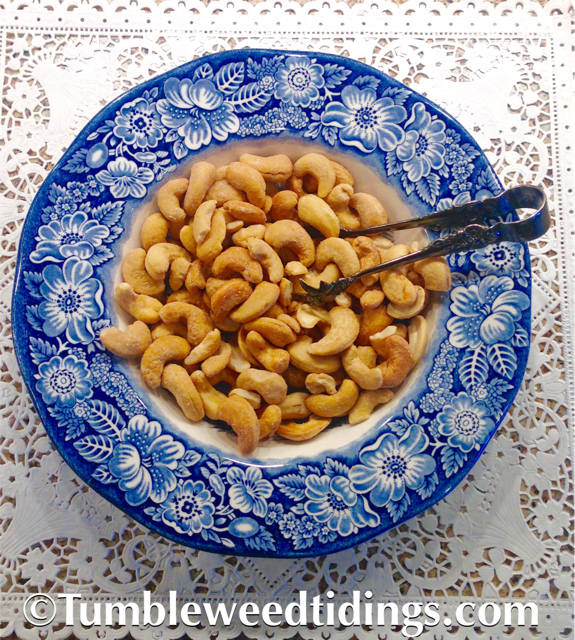 No, but they look so special on the table….I love mine. I have those too! And as long as we still enjoy entertaining in a more formal way a few times a year, I will keep them. To us, that’s what makes those dinners more special than all of the other meals we eat. 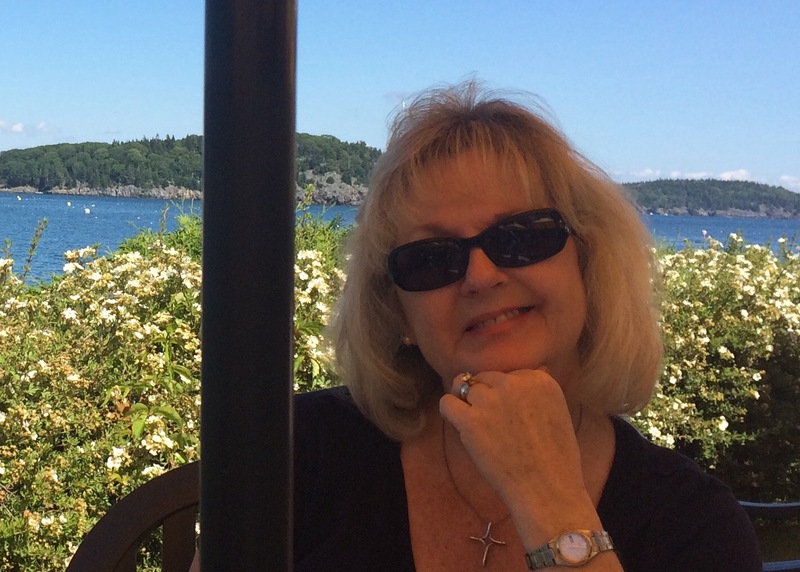 Thanks for reading the blog!